India closed 2016 with the successful test of its long-range ballistic missile, the 5,000-km-range Agni V. The country heralded the New Year with the test of Agni IV, a ballistic missile with a range of 4,000 kms. Both these delivery systems are important constituents of India’s credible minimum deterrence. Since deterrence presupposes the capability to punish the adversary, it necessarily rests on the ability to threaten something that is dear enough to make its loss unacceptable. 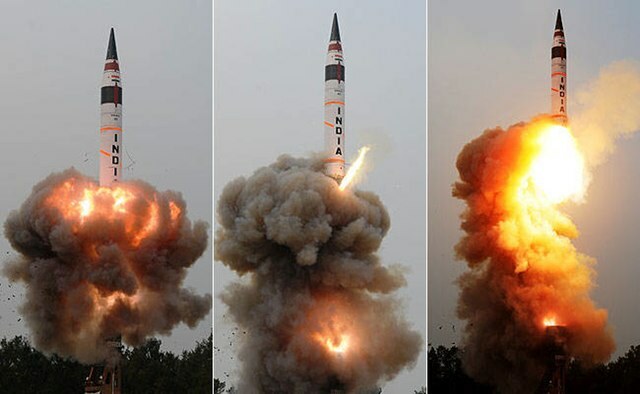 Agni IV and V bring the major cities of China within the range of India’s nuclear harm and thus are considered critical to deter China from indulging in nuclear blackmail or coercion. 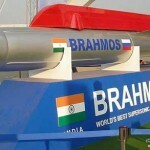 The next milestone for India is an operational fleet of nuclear-powered submarines equipped with long-range missiles. This capability is a work in progress and is steadily moving towards enhancing India’s nuclear deterrent. Do these successive developments amount to India being in an arms race? Not at all. In fact, India is building and testing these systems, which had been declared by the country in its draft nuclear doctrine of 1999. The developments taking place now are only translating the vision of the doctrine to build “sufficient, survivable and operationally prepared nuclear forces”. If India remains true to the doctrine of credible minimum deterrence, it is unlikely that it will feel the need to enter into a nuclear arms race with others. The same, however, cannot be said about Pakistan and China. Pakistan appears to be in an arms race that it claims is with India. But the race to acquire more fissile material capacities and stockpiles, nuclear warheads, types of weapons, and delivery systems, would be better attributed to its own vision of full spectrum deterrence. Egged on by the need to deter a conventionally superior India (that appears threatening because of its own pursuit of terrorism against India), Pakistan is engaged in an open-ended nuclear build up. It is a race it is running with its self-created phantoms, not India. China, meanwhile, is in an arms race with the US. Having stayed with a minimalist vision of deterrence for about four decades after 1964, it has been over the last 10-15 years been engaged in building newer and more modern nuclear capabilities with an eye on the US ballistic missile defence. Fearing a degradation of its nuclear deterrent if the US could defend itself against incoming missiles, China is keen to flaunt a bigger and better (BMD-penetrating) nuclear weapons capability. The United States, meanwhile, after having been in a nuclear weapons reduction mode for sometime, appears to have stopped the trend. Rather, nuclear modernisation is the flavour of the moment. President Obama exits office after having approved a budget of $1 trillion to be spent over three decades for the purpose. President-elect Donald Trump has indicated the intention to stay the course and even tweeted a challenge for an arms race. Russia has already been engaged in modernising its nuclear capabilities over the last few years. Unless US-Russia relations improve in the coming years, it is clear that both countries have enough insecurities for their respective nuclear programmes to feed on. Their behaviour and actions will have an impact on the global nuclear picture because as China mirrors these developments, downstream ripples will be felt in India and Pakistan. So, given the imminent nuclear mood, it is likely that the temptation of each nuclear player to take its cue from developments happening in its adversary is high. India too could be sucked into an arms race. The temptation to strive for capabilities being built by adversaries — missile defence, MIRVed missiles, hypersonic missiles, increased numbers of warheads and missiles — will be compelling. The intuitive response to these developments, and indeed a persistent clamour from security hawks, would be to match every development of the adversary with action at our own end. Pakistan’s tactical nuclear weapons and MIRVed (Multiple Independently Targetable Reentry Vehicle) capability of China are good examples of debates in Indian strategic circles on the need to build such capabilities. However, the important point to remember before internalising the logic of mirror imaging any capability is to keep a clear eyed focus on the role of nuclear weapons and the purpose of nuclear deterrence. Nuclear deterrence is a simple concept built on the promise of assured retaliation to punish the adversary enough to negate any gains he hopes to make. Imposing punishment with nuclear weapons is not difficult. Given the destructive potential of the weapon (the huge damage caused to life and property by a single 15 kiloton weapon on Hiroshima may be recalled) and the densities of population in China, India and Pakistan, not many weapons would ever be needed to cause damage that a sane nation could find acceptable. It is hoped, therefore, that even in the face of developments that seem to be moving towards an arms race in the region and beyond, India will be able to steer clear of unnecessary moves. The limited purpose of the nuclear weapon and its unlimited destructive power, as long as it can be credibly delivered, should be India’s guide to capability development. Not the breathless madness we see around us. It will serve India well — for national and international security — to be the voice of nuclear sanity.